Does your daughter have a passion for science, technology, engineering, or math? We want to keep her engaged and nurture her love of STEM, while allowing her to meet female scientists who have paved the way for her to join their field. Our program lasts 6 nights and 5 days, and is based at Randolph-Macon College in Ashland, Va. The entire program is FREE to girls who are selected to attend. Participants will experience college life in a safe, supervised environment, living in one of our brand-new dormitories with other participants and eating in our dining hall. Dedicated Resident Assistants will make sure they are happy, safe, and acclimatized to our campus. Our participants will learn about STEM careers through hands-on activities, trips to local STEM-focused companies, and field trips to places like the Science Museum of Virginia, Maymont, Lewis Ginter Botanical Garden, and the Baltimore Aquarium. A free 6-night residential experience at Randolph-Macon College, including all meals, trips, and other materials. Family passes to Lewis Ginter Botanical Garden, the Science Museum of Virginia, and Maymont good for 1 year after the program ends. A $5000 scholarship to the college of her choosing upon successful completion of the program. The opportunity to return to Randolph-Macon in Summer 2020 to complete a second program and earn an additional $2500 in scholarship money. Lifelong friendships with other girls who love STEM. What the Students Can Expect? We want our participants to have a great time, build life-long friendships, and come away from our program with a love of, and excitement for, STEM careers! This program is the result of a successfully-funded INCLUDES grant from the National Science Foundation. The INCLUDES program is a comprehensive national initiative designed to enhance U.S. leadership in science, technology, engineering and mathematics (STEM) discoveries and innovations focused on NSF's commitment to diversity, inclusion, and broadening participation in these fields. 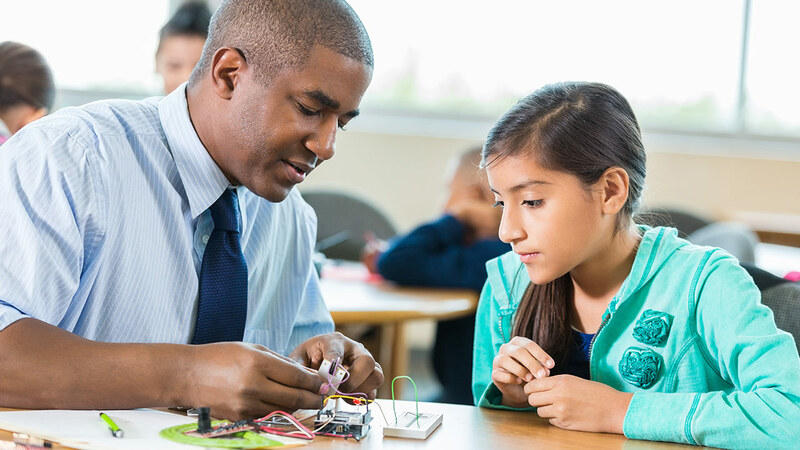 NSF INCLUDES supports efforts to develop talent from all sectors of society to build the STEM workforce, and focuses on underrepresented groups in STEM fields. 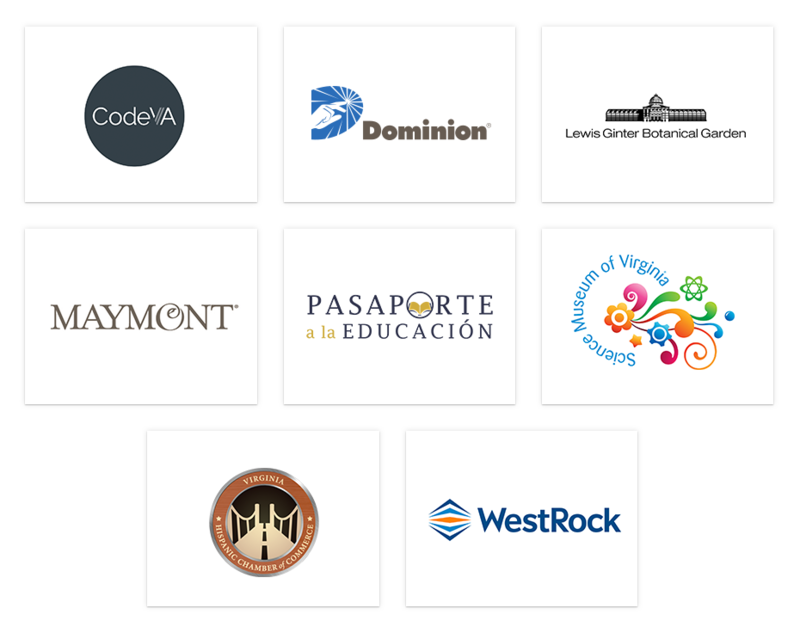 Our partners in this endeavor include Randolph-Macon College, the Virginia Hispanic Chamber of Commerce, the Office of the Governor of Virginia, Maymont, the Science Museum of Virginia, Dominion Virginia, WestRock, and Lewis Ginter Botanical Garden. View other frequently asked questions about the program.